I am alive today because of this photo. 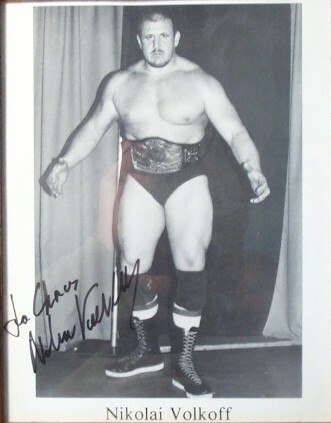 You see, if I refused to buy this autographed photo for $5 Nikolai Volkoff's wife probably would have killed me. I was at an independent wrestling card when I was "forced" to buy this photo.